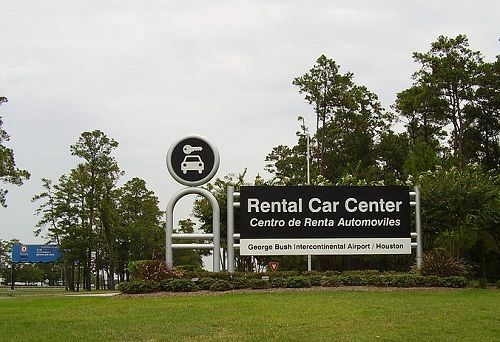 It's that time of year when many begin planning their vacations and if that involves booking airfare and accommodations, a rental car may also enter into the plan. If so, the current issue of Consumer Reports has a few caveats for prospective vacationers – watch for hidden costs and tricky tactics. "It used to be that car-rental companies made it as easy as possible to get you signed up and on the road," said Consumer Reports senior editor Jeff Blyskal. "These days consumers need to slow things down and be more guarded to make sure they don't pay more than necessary." Consumers always have the final say when it comes to add-on services and liability coverage. The article recommends watching out for these pricey maneuvers when the salesperson turns up the pressure. Rental cars are much like the mini-bar of a hotel room – everything you take out of it comes at a premium. Don’t accept any add-ons without considering the cost. This includes GPS navigation, satellite radio and child safety seats. One reader was charged $9.50 for $2 worth of tolls after using an EZ-Pass toll transponder inside his Hertz rental. If faced with surprise surcharges dispute them with your credit card company and ask about possible hidden fees. What if you return the car late or early when going through an unmanned, electronic-only toll gate? Is road service provided if you run out of gas or lock yourself out of the car? Are there any administrative fees related to parking tickets and moving violations? If they push the insurance you probably don’t need it. You may already be covered by your auto insurance policy – if it includes collision and/or comprehensive coverage. Some credit cards also provide protection. Check that your personal policy covers rentals and business travel and pays the full value of a loss, administrative fees, towing and loss of use. Also determine if it covers a second driver or comprehensive claims such as fire, theft and vandalism. One reader was billed $304 for "damage" after he dropped off an Avis Rental in Lyon, France, at the locked return lot before business hours. To prevent such incidents, fully inspect the car at pick up time, noting any damages in the paperwork and requesting a signed, dated copy. Repeat this process at drop off. If not during business hours, take photos to document the car's condition. Fill the car up before returning it. If you don’t, expect to pay as much as $8 per gallon or more when the agency fills the tank. Hertz's fuel purchase option sounds good – buy a full tank at the local per-gallon price – but the renter pays for a whole tank even if they only use a little of it. Don’t succumb to the upgrade pitch. Agencies used to have more cars than they could rent. Now inventories are tighter, so don't expect a more luxurious car at no extra cost. Settle for what you really need and don’t be pressured into more. If the agent is talking down a specific model in order to steer you to something more expensive, ask about other cars that cost the same. If you are smartphone savvy, look up the model online and then make your decision. Consumer Reports also suggests looking for deals online with the travel, airfare and hotel discounting sites. They also recommend off-brand companies like Ace Rent a Car, Pay Less and Midway for savings. Further, groups like AAA, AARP, Costco, labor unions and other groups offer discounts. For more tips on how to get the best deal on car rentals log click here.